Who, being in the form of God, thought it not robbery to be equal with God: But made himself of no reputation, and took upon him the form of a servant, and was made in the likeness of men: And being found in fashion as a man, he humbled himself, and became obedient unto death, even the death of the cross (Philippians 2:6-8). The prophet Micah prophesied about God's compassion. For son dishonors father, Daughter rises against her mother, Daughter-in-law against her mother-in-law; A man’s enemies are the men of his own household. 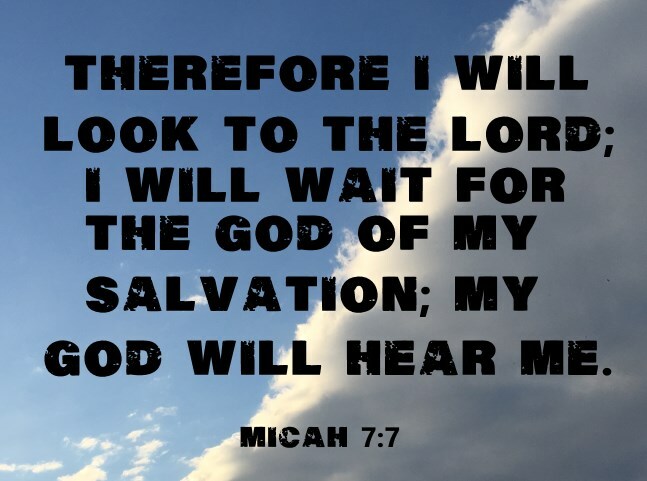 Therefore I will look to the Lord; I will wait for the God of my salvation; My God will hear me (Micah 7:6-7 NKJV). For I have come to ‘set a man against his father, a daughter against her mother, and a daughter-in-law against her mother-in-law’; and ‘a man’s enemies will be those of his own household.’ He who loves father or mother more than Me is not worthy of Me. And he who loves son or daughter more than Me is not worthy of Me. And he who does not take his cross and follow after Me is not worthy of Me. He who finds his life will lose it, and he who loses his life for My sake will find it (Matthew 10:35-39 NKJV). Who is a God like You, Pardoning iniquity And passing over the transgression of the remnant of His heritage? He does not retain His anger forever, Because He delights in mercy. 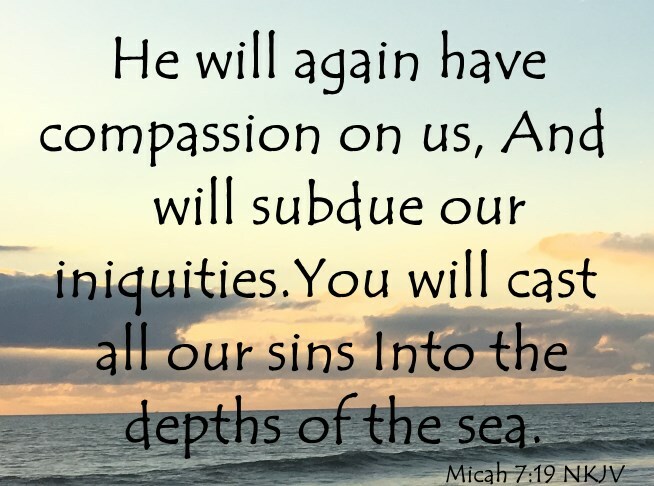 He will again have compassion on us, And will subdue our iniquities. You will cast all our sins Into the depths of the sea. You will give truth to Jacob And mercy to Abraham, Which You have sworn to our fathers From days of old (Micah 7:18-20 NKJV). And what did God actually do? Approximately seven hundred and fifty years later after Micah had said that all of their sins would be cast into the depths of the sea, God made a way for this to happen. He manifested Himself in the flesh (John 1:1,14, 1 Timothy 3:16) and turned His compassion into His passion (Acts 1:3) i.e. to be crucified, and then buried, and then be resurrected, giving us the gospel (1 Corinthians 15:1-4) to obey. Repent and be baptized every one of you in the name of Jesus Christ for the forgiveness of your sins, and you will receive the gift of the Holy Spirit (Acts 2:38 ESV). That's exactly what happened to about three thousand (Acts 2:41) of Israel's lost sheep that day. They were baptized, having their sins forgiven and left buried in the water that they had been baptized in. We know that to be true because the Trinitarian baptismal formula of sprinkling or showering of water over a lost soul was not invented until the third century. They were submerged in water, just like we must be today to be born again. Just like Micah said "Who is a God like You?" and "He will again have compassion on us." Only Jesus Christ has that kind of compassion for humanity. Don't believe this is true? Try and name another god that died for humanity? There is only One God, His name is Jesus. For additional study on Jesus' compassion for humanity, go here.